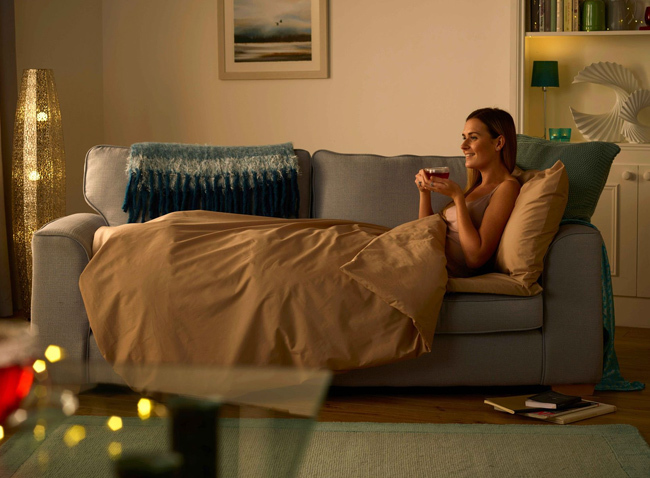 The Duvalay Comfort has a thicker base than the Compact edition offering a more comfortable night's sleep on even the hardest or most uneven surfaces. 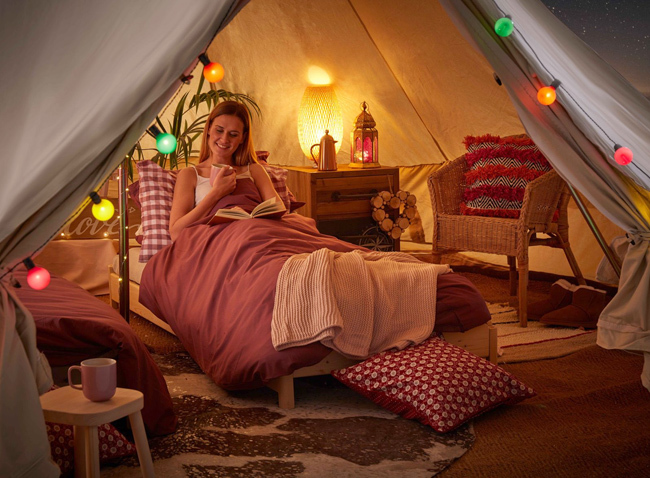 Add optional extras including a storage bag, pillows and pillowcases at the checkout. 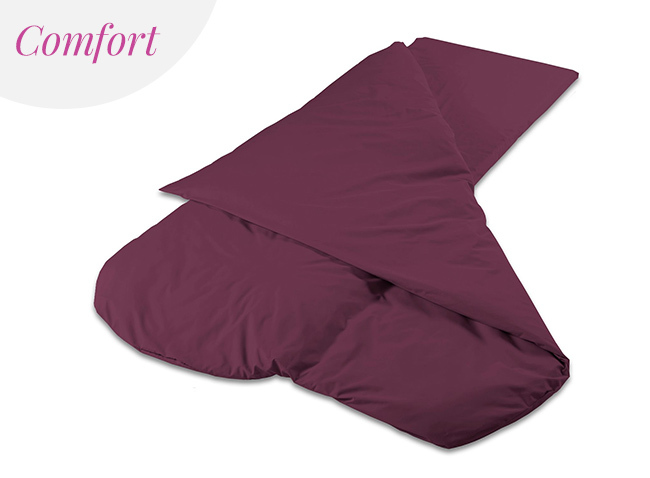 Get our best price with our great-value Duvalay Comfort Sleeping Bag Bundle! 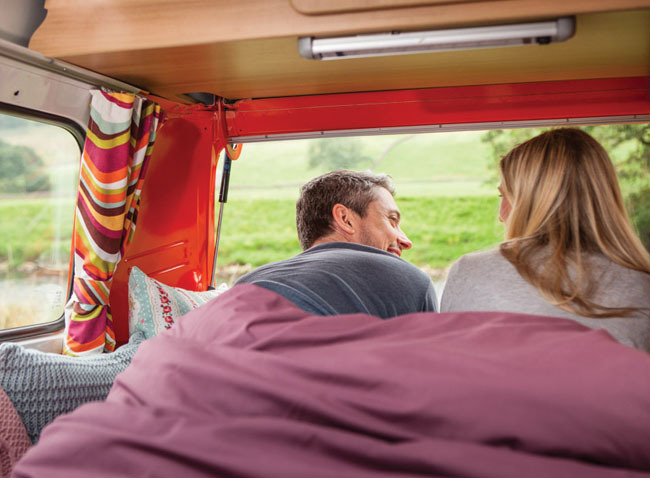 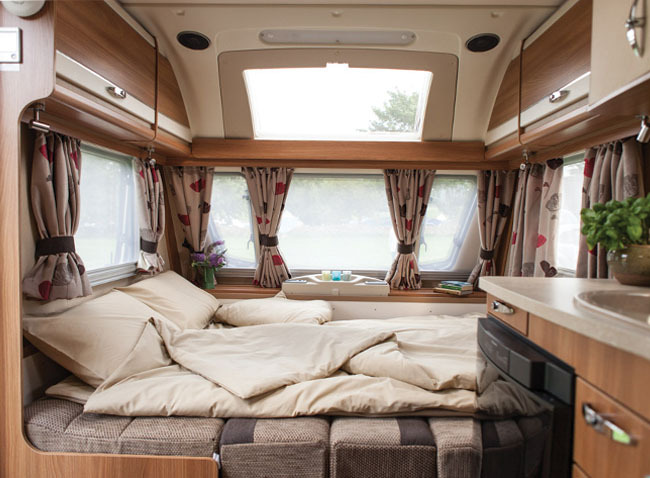 Our best-selling product among caravan and motorhome enthusiasts, the Duvalay Comfort Sleeping Bag is just as good in campervans, trucks, boats and tents. 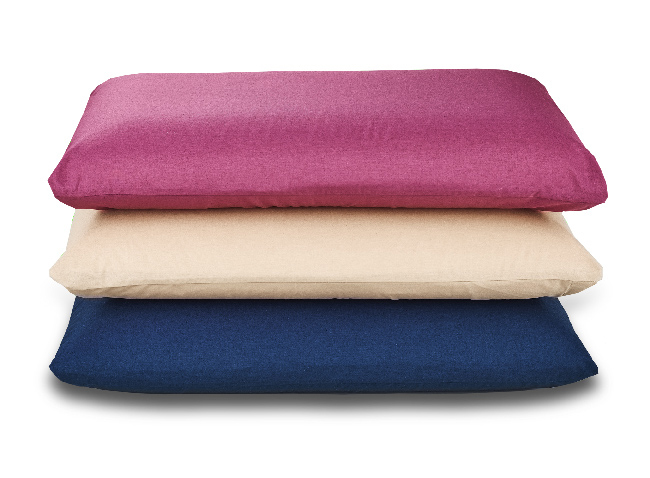 It can also be used in the home as a quick and easy to make bed for guests and sleepovers. 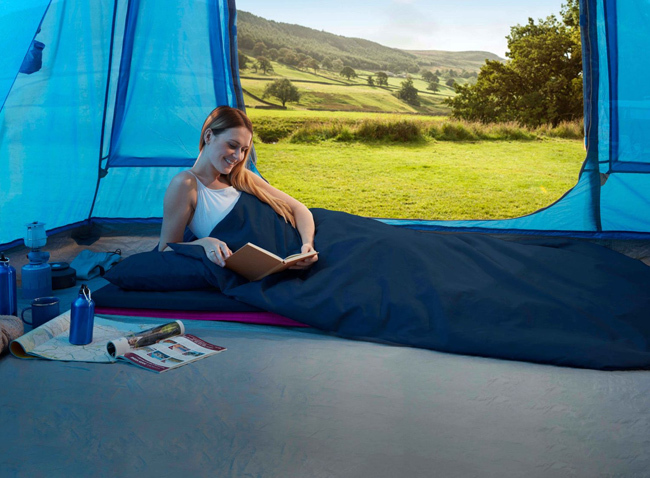 Combining outstanding comfort with incredible ease of use, simply undo the straps and roll out the sleeping bag for a great night's sleep. 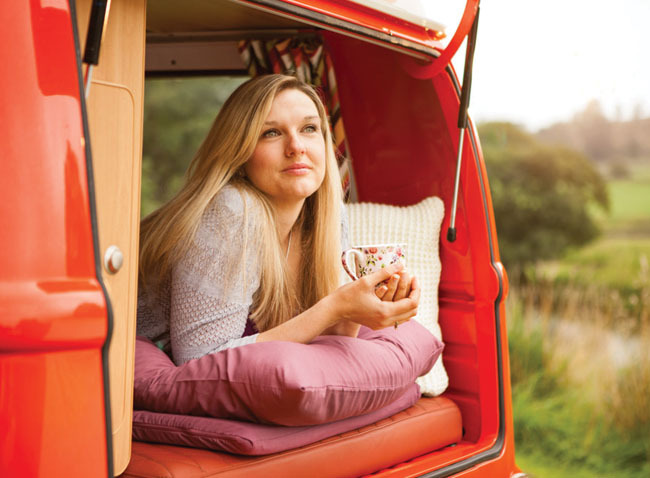 Customer feedback suggests that the 4cm topper depth provides fantastic pressure relief and support; however, for those sleepers who have a particularly bad back or aching joints, our 5cm topper is top of the range and offers even more support. 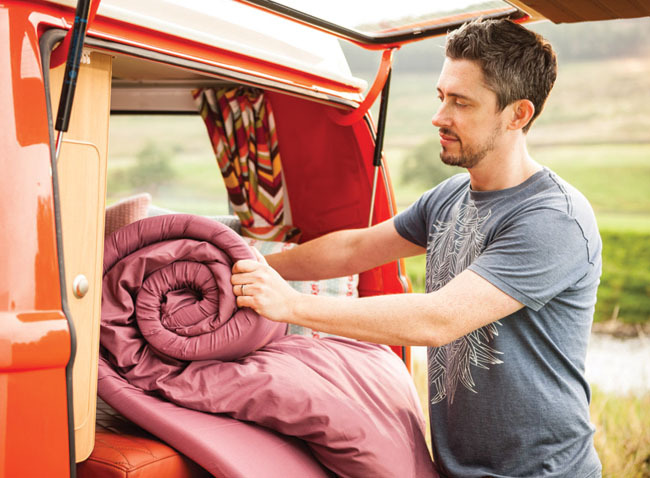 All Duvalay sleeping bags are reversible allowing you to put two together to make a luxurious double.